Greetings Signatories of the ‘Stop the Maangamizi!’ Petition and other Supporters of the ‘Stop the Maangamizi! : We Charge Genocide/Ecocide Campaign (SMWeCGEC). 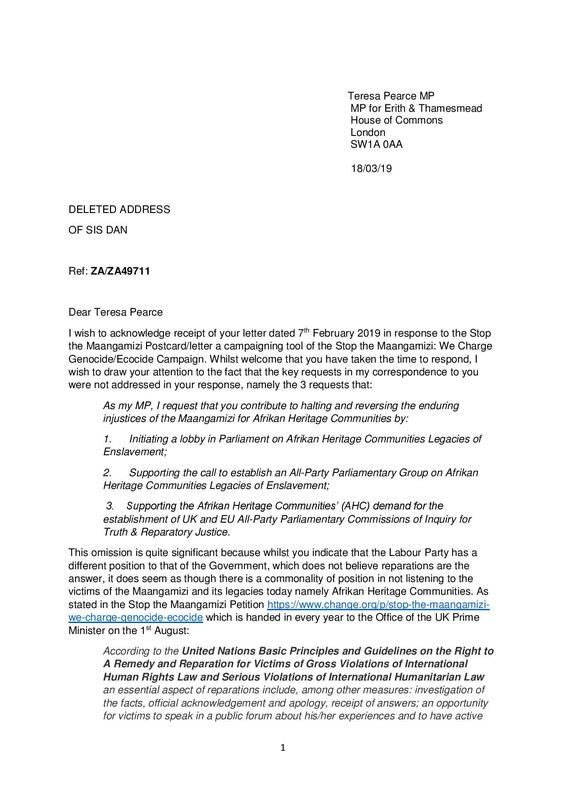 This is a case study of the advocacy of ‘Stop the Maangamizi!’ campaigner, Sis Dan, an Actioneer with the Afrikan Emancipation Day Reparations March Outreach Team, with her MP, Teresa Pearce, Member of Parliament for Erith and Thamesmead. You can read SMWeCGEC commentary about the above response in the posting here. Sis Dan sent the following response to Teresa Pearce which was also copied to the SMWeCGEC. She has given permission for her response to be shared but we have also removed Sis Dan’s address and other personal details. It is important to note that Sis Dan was able to formulate this response in consultation and after much discussion with her children and other family members as per the approach which the SMWeCGEC has advocated in the establishment of Maatzoezaduara’s (i.e. Maat action-learning circles or ‘Maat Training Practice Rings’) which is a reparatory justice circle of Maat practitioners who learn to be the self-repairs change at the levels of their person, home, family, neighbourhood, workplace, school, college, university, places of leisure and worship, etc. These Maat Training Practice Rings encompass a number of families and lineages, across geographical boundaries and generations. For example, a home or family based Maat Training Practice Ring will entail getting a selected number of people in your family interested in unravelling family histories and using this knowledge to recognise and gather evidence of the harm that has been done to you as a family. The Practice Rings will also explore how such harms have been passed down throughout the generations, resulting in increasing levels of disrepair. 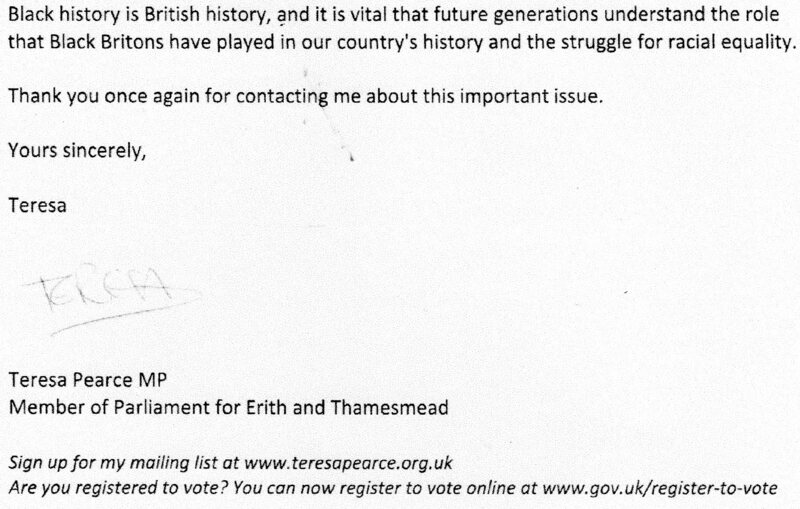 This response from Teresa Pearce is the clearest indication yet of British Labour Party Policy on dealing with matters of Afrikan Reparatory Justice; appearing to have a different position to the UK Government’s view that they “do believe reparations are the answer.” The response confirms that the British Labour Party is seeking to do something about us without us as was highlighted in a previous SMWeCGEC posting here. 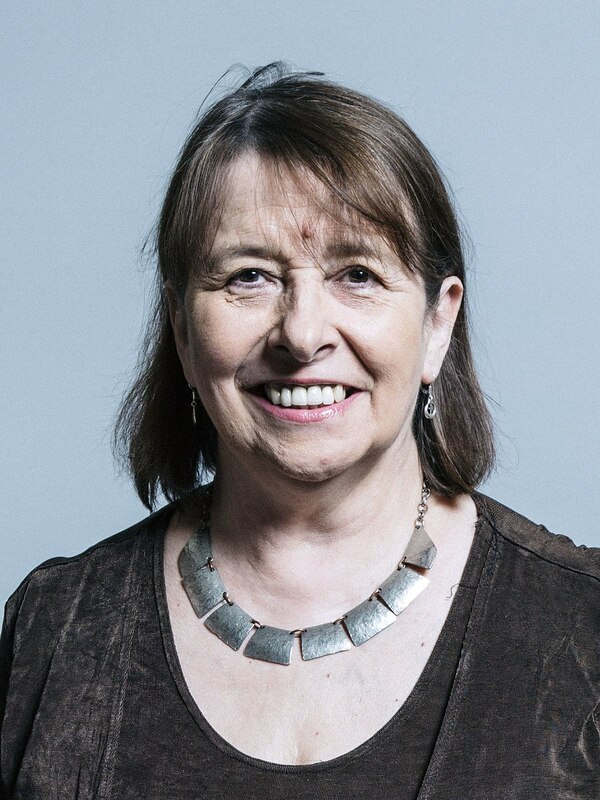 Whereas some may be deceived by the British Labour Party seeking to misuse its opportunistic Black puppets to present tokenistic gimmicks that seek to divert our Afrikan Heritage Communities from going ahead with our own initiatives to effect reparatory justice, we in the SMWeCGEC see this typical ayevu cunning move as displaying the characteristic white supremacy racist complex of denying Afrikan agency in effecting our own community self-repairs, and instead providing governmental backing to our own grassroots reparatory justice endeavours, so that once again white people and their colonising structures of whiteness benefit the most from these kind of tokenistic measures. 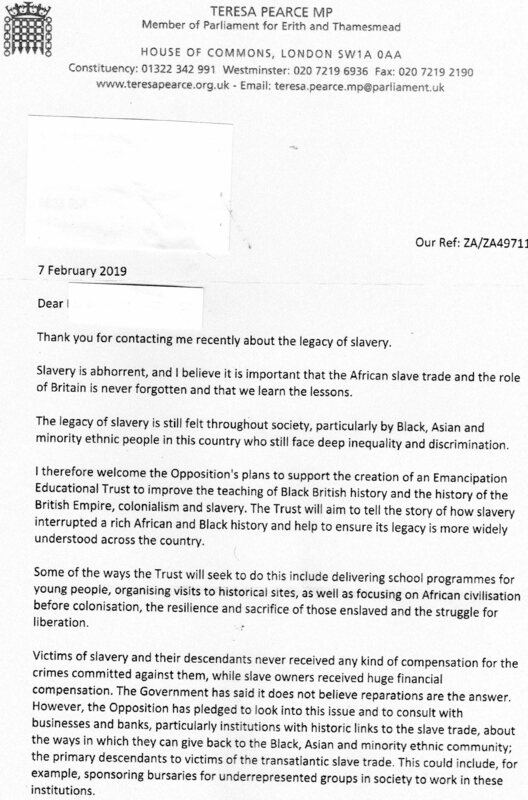 Such measures being reminiscent of past scams like the apprenticeship schemes with which compensation was extorted from our enslaved Afrikan Ancestors to reward the criminality of the perpetrators of the chattel enslavement crimes of the Maangamizi against Afrikan People. The proposed Eurocentric miseducation and training in rendering slavish servitude to white controlled private “businesses and banks” etc. smacks of nothing other than new forms of the apprenticeship schemes of the past. 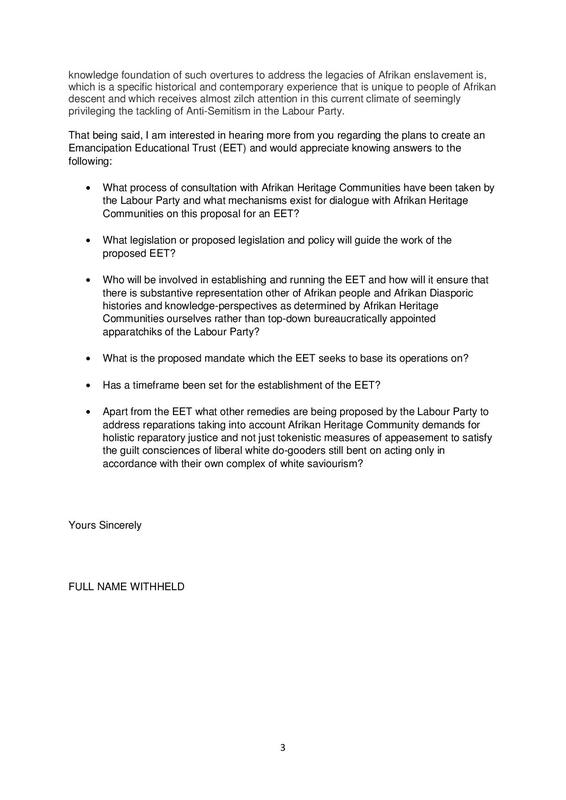 The institutionalised Afriphobic racism that the British Labour Party continues to display in response to our People’s demands for Pan-Afrikan Reparatory Justice showing utter contempt for our Afrikan Heritage Communities in and beyond the UK, by insisting to design and carry out pseudo reparatory policies for us without us. 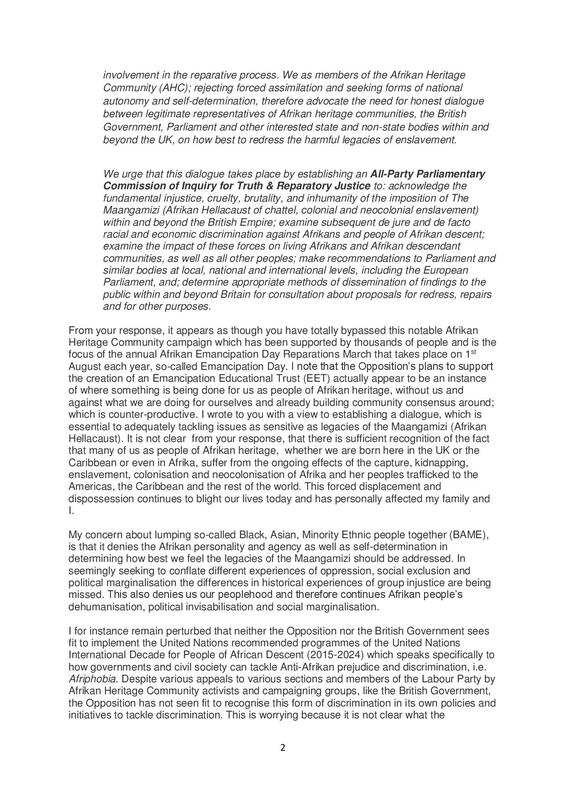 Refusing stubbornly to engage with our well-known community activists, organisations and networks even in dialogue must be exposed, resisted and counteracted to ensure that no white supremacy racist institution, organisation or agents like the British Labour Party and even its Black puppets, reaps undeserved benefits from our own Afrikan Heritage Community ploughing of the grounds and sewing the own seeds of true holistic reparatory justice. When it comes to Pan-Afrikan Reparatory Justice, We the Grassroots must run things, including the reasoning, policy, designing and effecting of all remedial actions. Those who are not from the Grassroots, but have professional skills and competencies to contribute, must make themselves first and foremost accountable to substantively Afrikan representational local, national and international structures and processes of our Afrikan Heritage Grassroots Communities such as the Afrikan Emancipation Day Reparations March Committee, Afrikan ConneXions Consortium in Bristol, Manchester Reparatory Justice Forum, Popular Civil Society forum for Afrikan Reparations in London, Global Afrikan People’s Parliament and similar others.